Copyright �2006 PopEntertainment.com. All rights reserved. Posted: March 1, 2006. When you think of classic 70's and 80's arena rock, undoubtedly Journey is one of the first groups that comes to mind. 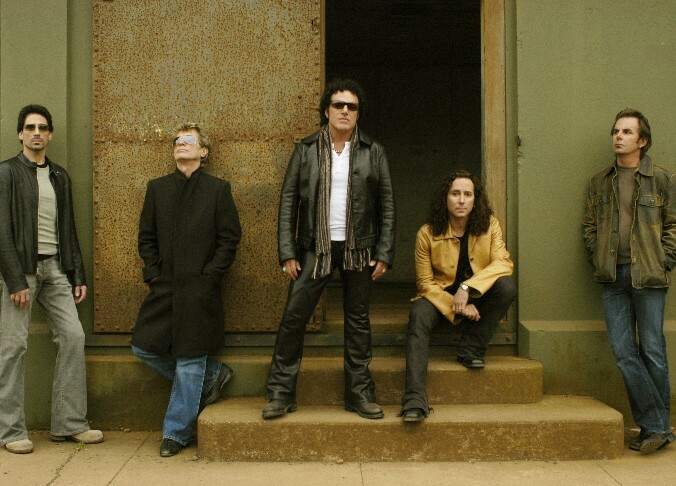 Now, over 30 years after the band�s creation � with countless hits and the 2005 release of their 13th studio album Generations � Journey is still having fun doing what they love while filling arenas and showing their fans they can still rock! Though many members have come and gone, today's Journey includes Ross Valory, Neal Schon, Jonathan Cain, Deen Castronova and singer Steve Augeri. Bassist Ross Valory was a constant for Journey until leaving in 1986 � just one year before the group broke up. He returned in 1996 to help reinvent the Journey lineup which remains today and is currently the longest lasting one of the bands history. As Journey fans have come to expect, Generations delivers everything from smooth power-ballads to hard-hitting rock, stopping along the way for some interesting new sounds. According to Valory, moving away from their standard sound was exciting for the group. The CD also allows the members to display their vocal talents as each one makes their own contribution as lead singer. This legendary rock band has sold over 75 million albums and with thanks to their fans, now enjoys a distinct honor of a coveted star on the Hollywood Walk of Fame. Valory credits their staying power to these dedicated fans and what he fondly calls the "dirty dozen," those big hit songs that keep people coming back. 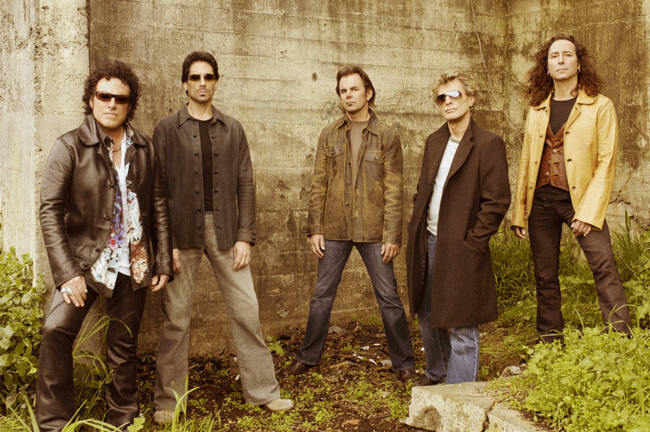 While the group takes a breather after months of touring, we caught up with Ross Valory to talk about the band, their fans, the latest CD, and what's next for Journey � including the newly announced Summer of 2006 tour with fellow rockers Def Leppard. Are you home or are you on tour right at this point? No actually, we are home. For the most part we have done a couple of one-offs which are separate shows since we have gotten home in early December. We have just a couple more to do, including � it looks like � a festival in Chile and a corporate show in Hawaii. Other than that, our long, long tour which started in July is over. First, I want to say that I really enjoyed new Generations CD. It captured the classic Journey sound and also experimented with different styles. Did you have fun making the CD? Yeah we did, having taken what I think our fans are used to hearing and having ventured into new forms we are not known for. The Arrival album that came out a couple years ago � it was eventually made to fit and tie together the themes and the signatures of the music that the band is most know for. I think we did well with that but it did not make a dent on anything. No matter how great a song may be � or [if it's] similar to a hit like "Faithfully" or "Open Arms" � it cannot replace the sentimental value for all those people who grew up to that [earlier] music or graduated to it. So in this case, the mainstay of our popularity so far in this long eight years that this particular band has been together performing the hits. We felt that we could take the leap and go into music with the Generations album that was not necessarily related because it doesn't make any difference, you know what I'm saying. It doesn't make any difference with the material, it doesn't have to be familiar. And we had a lot of fun to answer your question, we had a lot of fun recording it and like I said it's music that the band is not known for. And as a fan I can say that we really enjoyed hearing it. There is another aspect too. As of the tour the year before last, everybody in the band has been singing at least one song, if not two, in the set and that has carried over into the Generations album. So you hear different voices and different styles as well. Yeah � that is actually one of my questions. I liked that everybody got to sing a song or two on the new CD. Whose idea was that? You said you came up with that in the last tour? Well what we had been doing in the tour is covering all the material from the past and then spreading out the talent. In a band that in the past has been known for one singer maybe two � when Greg Rolie and Steve Perry were singing in concert � we all began singing the material and that tradition just carried over into this album. That's great. Now I loved the song that you did "Gone Crazy" but somehow it didn't seem like typical Journey for me. It actually has more of a ZZ Top boogie style. I guess you guys were trying to stretch out. Did you get to pick this song and do something really different? 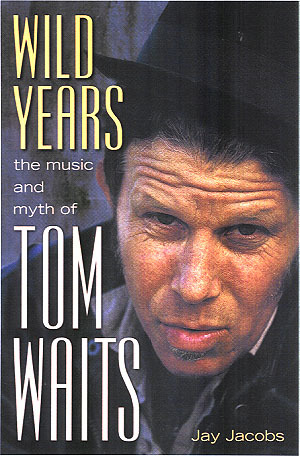 Before this album, I was singing "Walks Like a Lady" in a blues fashion and had really found my niche as a blues singer. And "Gone Crazy" was a song that Neal had written that he had actually intended to sing. But he was hoping to get a deeper voice to it and he suggested that I do it. And you had a great voice for it. It really fit perfect. It's ZZ-ish. It's Dr. John-ish. It represents the blues end � if not the blues-boogie end � of what the band does live. Deen Castronova has also been singing quite well. After covering some of the songs from the past, he's been singing "Still They Ride" and "Patiently." That tradition also carries over with the songs that he's done. It's phenomenal in that he sings and plays so strongly. Well, it's got to be a kick for all of you being the front men. The album name Generations really works for a group that has so many generations of fans. Is that where the name came from? Exactly. You hit it right on the head. Lyrically the band has been celebrating, as of last year our 30th anniversary. That is exactly why we named the album and the tour Generations. We covered material all the way back from the beginning, which includes three albums from before Steve Perry which a lot of people don't know about. It was a different band � a jam band with a fusion and progressive approach. We covered some of the material from that. Regarding the Generations CD, there have been so many fans that have been following the music even from the mid 70s. They are re-entering our world by showing up at our concerts with an instilled attraction to the music � bringing their kids and in some cases their grandchildren � so there are several generations of families. Plus there is a new demographic of young kids who are not there with their parents but they are re-discovering Journey as retro, so there is a new demographic there. That has to be exciting for you guys to bring all those people together after all those years. One more question about Generations. I know Kevin Elson, who the band had worked with on other classic albums like Escape and Frontiers, produced the disk. How did you guys get back together and what was it like working with him again? Well, with Kevin, he's the original engineer for the house sound from the live sound. He's been with us all the way through. He returned with us when John, Neal and I put the band back together. In 1978 we brought Kevin in so he's still working with us in the house engineering and it's just completing the cycle in returning to the producing, of course with Mike Frasier too. They made a great combination. Frasier has quite a list of accomplishments. So they teamed up and they did very well with it. It was very cool how the group gave the fans a copy of the CD at most of the shows on the tour. Was that received well by your fans? Yes, it absolutely was, in fact in some cases they did not really understand what they were getting. It's a concept that Neal brought to the table after having seen it happen the year before at the Prince concert. Of course, Prince is an independent and he decided to provide his CD's at his concerts. We found that that was quite an attractive idea. So, that was an independent release by us and very successful and well received by our fans. Now of course, other bands want to do the same but it probably is not going to be happening with Clear Channel, but maybe some of the other independent companies. That worked well. Now how about Journeyville? Did the fans enjoy that also? Well, for this one last tour we had Journeyville set up and it was well received too. It's not a regular practice but it was part of the feature of our 30 year Generations tour, and of course the Arlen Ness Journey Motorcycle was raffled for the Tony Martel Foundation for Children's Disease Research. That was given away to the ticket winner at the end of the tour. I think I read it went to someone who wasn't even old enough to drive � is that right? I think she was 16 or 17, but I know her father is a motorcyclist. So he can take care of it for a few years for her. Now after all these years, is it still exciting for you to go out touring with the guys? It certainly is. One of my more favorite parts of being in this band is performing. It's been great to put the band back together as it went away for a few years and performing is certainly wonderful. Now, I know your fans expect it, but do you ever get tired of performing the old hits like "Open Arms," Wheel in the Sky� and "Faithfully?" No, no I mean it's a way of life. And there's a balance there in being able to perform other material as well. It's a familiarity of doing the same old stuff is balanced with a great selection of material. Many Journey members have come and gone in the last 30-plus years. It's quite an accomplishment to have been one of the original members and on all of their albums but one, I believe. When did you know that Journey was the band you were going to spend your career with? Well, Journey actually was formed in early 1972. I was one of the founding members with Herbie Herbert, Neal Schon and Greg Rolie. It was something we began because Herbie, our managing partner suggested � having known Greg and Neal from the Santana experience � that they and I and George Tickner the other original guitarist get together and just check out the concept of a local rhythm section. In other words, in the early 70's a lot of artists and bands were coming to San Francisco to write and record and to develop their own sound with the San Francisco environments. So we considered the idea to begin with of becoming a local rhythm section for recording with various artists. It quickly developed into its own project as the band and continued from there. From the early 70s to the mid 80's � about 12 to 15 years � and of course with the resurgence it has pretty much been the mainstay of my work. I think it was long overdue for Journey to receive a star on the Hollywood Walk of Fame. How did it feel when it finally happened last year? Well, it was quiet an event. I knew it was going to be a great experience and a big event but I had no idea how big an event it was going to be! There was a considerable amount of press, lots of fans and quiet a bit of hoopla. It took quite a long time for that to happen. Not as though we lost sleep over not getting the accolades but it's the Journey fans that actually caused the award to be presented. I don't think that without them it would have happened even as late as it has. They also did the same thing with their motivation and influence which caused us to receive also the Walk of Fame award in San Francisco. Another piece of influence by our fans. It's just as much our award as theirs. But it was a great event. Steve Perry showed up. Were you surprised when he showed up? Yeah, actually I was. It had been a long time since we'd seen him. He came and had some good things to say. It was just a wonderful experience to see so many current and former members there. There were only a couple that weren't there � Herbie and Greg Rolie � but practically everyone else was there. It was quiet a big event. After all the years of making music with Journey, how do you guys stay fresh and keep your loyal the fans coming back for more? Well, as I mentioned earlier, the mainstay are those hits. We call them the dirty dozen, and there is at least twelve of the really more popular hits that are the backbone of our performance and people have grown up to it and come back for more. It's a way of life. You probably get tired of hearing this, but is just a coincidence that Steve Augeri sounds so much like Steve Perry vocally? Well, we needed to find someone else to fill Steve Perry's shoes � which were a big pair of shoes to fill � and to cover the material. And Steve Augeri does it quite well. So, it's certainly no surprise that he sounds like Steve Perry. During one of Journey's down periods, you and former Journey singer Gregg Rolie and Steve Smith had some success with The Storm, including a big hit with "I've Got a Lot to Learn About Love." After all those years in an established band, what was it like to start a new band from scratch and then get a hit with it? Actually it was difficult. The singer of The Storm was named Kevin Chalfont and I was working with him even long before The Storm. He and I had a band together called VU, but The Storm saw much more success than VU. There's a hurdle, a stigma in which you have members of Journey in a band that isn't Journey and it doesn't ring the same way. It doesn't have the influence or the backing of the industry. In the long run it sort of got lost in the shuffle of the other music that was popular at the time. There are so many people in the industry that loved the Storm, but that kind of music was not their trend or what they wanted to sell at that time. Even though there was an audience right there, a built-in audience willing to buy it. It was like nothing but the real thing makes my bell ring. So, the Storm did not succeed in the long run because of not actually being Journey itself � and being in an era of music that it wasn't favored by the industry. It was a terrific band though. Oh yeah. It was a great band. We had a couple of good years and two fine albums. It was a long run but, there were hurdles with the industry that we couldn't overcome. In recent years, you've toured with classic rock bands like Styx and Foreigner - which would have been huge tours a couple of decades ago. What is it like being on those tours and how do your fans react to having all these big bands together? Styx and Foreigner are great combinations with musical chemistry with the band and there is something nostalgic about it. But actually, even though we did some good touring with Styx, REO, Peter Frampton and Foreigner, we actually did better by performing alone this past year. In spite of fact that those other bands work well musical chemistry wise, we actually did better business on our own which was quite a surprise. "An Evening With" turned out to be quiet a better marketing approach. I was surprised by that. We are looking at performing this year in June with a couple of festivals and some other dates in Europe. The band has not been to Europe for quite some time. We're looking towards that and maybe some other things this coming summer. For now, we are taking a little break with a couple of one-offs and then we can go back at it this summer. #1 � 2005. Courtesy of Journey. All rights reserved. #2 � 2005. Courtesy of Journey. All rights reserved.